Cody is an amazing realtor who goes above and beyond in his customer service. I would recommend Cody for numerous reasons around his ability as a realtor, but honestly for me it is his willingness to be more than just your realtor; he treats you as a friend and really listens to what your wants and needs are. He gives you great professional advice and keeps things above board. Thank you Cody! Cody recently guided us through buying our first home in Calgary. He has a wealth of knowledge when it comes to purchasing a property and made us aware of many important details we would not have known without him. He understood what we were looking for and delivered the perfect property for us. I would happily recommend Cody to anyone looking to purchase a property. Jordan advised me on how to prepare my home to put on the market, and his advice was dead on, because on the day of the listing I had 16 viewings and 7 offers, it was sold by the end of the day! His knowledge and ambition was above and beyond my expectations. I have already recommended them to many of my friends, as they are awesome! Thank you so much! Cody found us our first home when we moved to Calgary in 2014 and we couldn’t have been happier with how easy he made the process. His professionalism and vast knowledge of YYC real estate made working with him a pleasure. We’ll certainly call on his services again when we’re ready to make our next home purchase! Cody was always quick to reply when contacted and promptly setup viewings whenever we asked to see a house. The MLS write-up and photos he arranged for the house we were selling were excellent, and he was instrumental in putting together the successful bid for our new home. Thanks again Cody! I thought buying my first home would be one of the most nerve-racking and stressful experiences in my life but it definitely didn’t feel that way working with Cody and Jordan. They were both professional and patient throughout the process listening to my needs and concerns. I appreciated them showing me homes that suited my budget, interests and lifestyle based on their knowledge of the communities in Calgary. Thank you both for making a dream come into a reality! This will be the third time I’m using Cody as my Realtor. He always exceeds all expectations and is there every step of the way. Couldn’t ask for more. He also has the most user-friendly website when looking for condos and/or infills and has a wonderful section on new Calgary condos that I found extremely hopeful. I recently bought my first condo in Calgary. I was nervous about the process and Cody made the experience wonderful! He’s very knowledgeable and his process is very streamline and professional. I highly recommend Cody Battershill! Cody provided exceptional service with a high level of professionalism that made my first home purchase a breeze. His expert knowledge of the Calgary real estate market was obvious and helped tremendously while I was searching for that perfect home. I continue to use Cody’s services and would definitely recommend him to any friends or family looking to purchase or sell their home. Firstly, Cody’s positive attitude is infectious. For those of you that know him, this you can’t deny. My Fiancee and I used Cody’s service to sell our two condos in downtown Calgary and to help us purchase our dream home. In all cases, these are stressful times and Cody’s positive outlook on the process always helped to calm our nerves. One condo sold in 4 days and the second in 6, and in both cases, higher than our initial expectations.  This shows not only that he is an excellent sales person and great negotiator, but that he’s truly in tune with the Calgary market place. I have already recommended Cody to 3 other friends who are in the midst of working with him and have nothing but great things to say. Needless to say, the LinkedIn recommendation is more of a formality at this point. Thanks Cody. As first time home buyers we appreciated Cody’s knowledge of Calgary and the purchasing process/housing market. He is very service oriented, practical and efficient (and I certainly appreciated his friendly and humorous demeanor). Cody was able to suggest neighborhoods based on our interests and needs . When we were ready to put in an offer, he was immediately available and was dedicated through the negotiating process. We are very pleased with our new home, and would highly recommend Cody as an agent. Working with Cody was a great experience. It was our first time buying an investment property so we had a lot of questions (and some apprehension), but Cody was incredibly patient, knowledgeable and supportive — making the whole experience an easy one. We’re looking forward to working with him again and would highly recommend him to anyone who is looking for an expert Realtor.